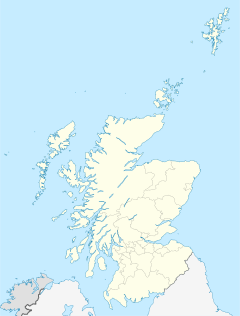 Tha na h-eileanan ris an canar Hiort, a’ chuid as iomallaiche a dh'Alba, 41 mìle (68 cilemeatair) an iar air Beinn na Faoghla ann an Innse Gall na h-Alba. Tha na h-eileanan seo, len cuid bhearraidhean is stacan, air àite sìolachaidh cho cudromach ’s a tha air ceann an iar thuath na Roinn Eòrpa airson eòin-mhara. Nuair a dh’fhàg na daoine ann an 1930, thàinig eachdraidh iongantach air tighinn beò gu crìch. An-diugh, tha na trì buidhnean seo, Urras Nàiseanta na h-Alba, Dualchas Nàdair na h-Alba agus Ministreachd an Dìon, ag obair ann an co-bhanntachd gus prògram glèidhteachais agus rannsachaidh a leudachadh air na h-eileanan airson a bhith cinnteach gun tèid Làrach Dhualchas na Cruinne a chumail gu math agus a dhìon. Chaidh Hiort a chomharrachadh iomadh uair aig ìre eadar-nàiseanta airson dualchas agus nàdar air leth. An dèidh don RAF an t-eilean a' gabhail os làimh ann an 1957, bha Seumas A. MacAoidh na oifigeach-fhoghluim airson a rèiseamaid. Bha e thall air Hiort agus chunnaic e cia mar a bha beatha nam balach a bha an urra ris nan rocaidean an sin. Sgrìobh e alt toil-inntinneach leis an tiotal Hiort an Diugh a chaidh fhoillseachadh ann an GAIRM Leabhar VIII, 1959-60. Rinn e luaidh air alt eile le Tim Weir mu Hiort, a thàinig a-mach ann an Gairm an Earraich,1958. Tha planaichean ann ionad fiosrachaidh mu dheidhinn Hiort a thogail ann am Mangurstadh ann an Ùig Leòdhais. Sgrìobh Màrtainn MacGilleMhàrtainn mun chuairt a rinn e do Hiort ann an 1697 anns an leabhar A Late Voyage to St Kilda. Chaidh an leabhar fhoillseachadh ann an 1698. Air a tharraing à "https://gd.wikipedia.org/w/index.php?title=Hiort&oldid=528040"
Chaidh an duilleag seo a dheasachadh 14 dhen Ghearran 2017 aig 05:55 turas mu dheireadh.